Mountable, or rolled curbs work great in theory but not always in practice. Rolled curbs are designed to have moderate slopes allowing vehicles to easily glide over them without damaging wheels, tires, or other steering components. However, many rolled curbs are simply too steep and can cause discomfort to passengers and damage to vehicles. Curb Ramp™ solves this all too common problem. Curb Ramp™ bridges the gap between the street and a rolled curb allowing vehicles to smoothly glide over the curb without causing discomfort or damage. Made from recycled materials, Curb Ramp™ provides a simple, fully customizable, do-it-yourself solution at a fraction of the cost of pre-made alternatives. Unlike rigid, pre-made competitors, Curb Ramp™ can be molded to your exact slope, ensuring a superior bond for long-term durability. PVC pipe of any size can be used with Curb Ramp™ allowing for storm runoff. 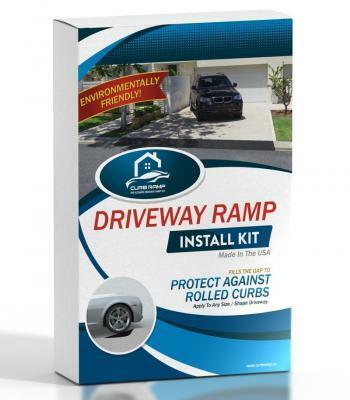 Perfect for owners of low riding cars, victims of steep driveways, and even golf course owners, Curb Ramp™ is a versatile solution and is compliant with most homeowner associations. Installation is quick and easy. Stop damaging your vehicle and your neck. 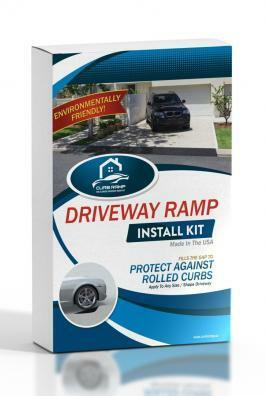 Your simple, inexpensive, do-it-yourself solution to rolled curbs is here: Curb Ramp™.